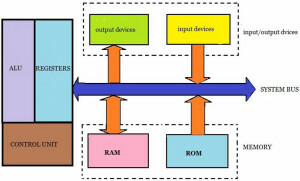 An embedded microprocessor is a computer chip used inside several devices and equipments to provide added functionality. 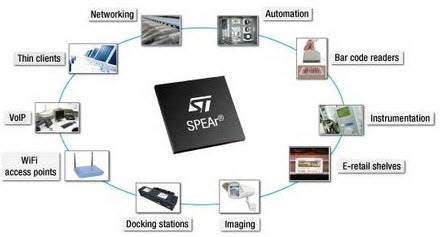 A microprocessor is a digital-electronic component with transistors integrated on a single semiconductor IC that is small and consumes less power. Due to flexibility, cost, programmability and adaptability microcontrollers are popular to implement various types of controllers that we know from the electronics history. The functions of the microprocessor include fetching, decoding and processing the data. An ALU is also known as integer unit as it is used to perform logical operations like Not, OR AND, and math calculations like add, subtract, divide, multiply and comparisons like greater then, less than, etc. Cache memory is a small amount of memory located on the chip of a microprocessor. A microprocessor stores a copy of data and instructions in its cache memory while executing the program. 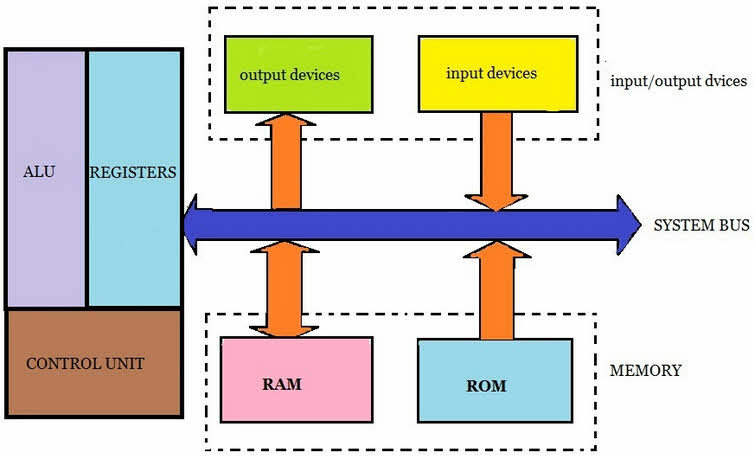 Types of microprocessor memory include ROM and RAM. Control Unit is the brain of a microprocessor as it manages complete operations. It performs the operations like managing input, output devices, storing data and fetching instructions. Registers are small, fast memories built into the central processing unit (CPU) to speed up its operation. General purpose registers store arbitrary data and special purpose registers control the processor. System bus is a single wire used to attach different components to communicate with the internal and external parts of the microprocessor. The bus receives data and instructions from the main memory, and then sends them to instruction cache and data cache. Finally these are processed and the results are again sent to the main memory through this bus. 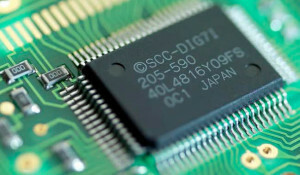 Microprocessors for general purpose applications include personal computers, single-board micro computers, super minis and Computer Aided Designs (CAD). Personal computers have 8-bit or 16-bit microprocessors. Home computers come with 8-bit microprocessor for learning programs and playing video games, whereas the computers with 16- bit microprocessor are used for business, accounts, word processing, and other purposes. The single-board micro computers have simple hardware and software configuration and are cheaper. These micro computers are used to build small computer systems and to train students. 32 -bit processors are used in powerful microcomputers. And, as a result, the performance of these computers is far better than the mini computers; and, these are used in engineering side as CAD machines. special purpose application includes control, communication, instrumentation, office automation and publication. In telephone industry, microprocessors are used in modems, telephone exchanges, digital telephone sets, and also in air reservation systems and railway reservation systems both at international and national levels. Mobile phones and televisions also use microprocessors. In various instruments, microprocessors are implemented as main controllers and also used in medical instruments to measure temperature and blood pressure. Microprocessors are now available in home appliances like washing machines and microwave ovens; and, in industrial-automation sectors, microcontrollers are used to control various parameters like temperature, speed, moisture and pressure. These are used in office to perform spread sheet operations, and storage. In publication, microprocessors are used in LASER printers for good speed and making automatic photo copies. This is all about the embedded microprocessor systems and their applications. We believe that the information given in this topic is worth considering the importance of microprocessors. Please share your suggestions and opinions about this article or electrical and electronic projects in the comment section.